Pink Green Chick: New beauties! One of my favorite things about the changing of the seasons (even if the weather says otherwise) is the general sense of renewal. I love packing away summer clothes and dragging out my boots and sweaters. Switching from brighter colors to jewel tones and various shades of grey. As my wardrobe changes, so too does my makeup and there is nothing I love more than new make up! I received a few new beauties over the weekend that I've been eagerly anticipating so, of course, I had to share. I've been wearing Too Faced Born This Way foundation in Natural Beige for the last couple of days and it is without a doubt my favorite foundation yet. I used my fingers (because I'm a girl in a woman suit) to apply two pumps over Laura Mercier's Radiance primer and it wore evenly and comfortably. Two pumps is certainly not enough for a truly full coverage look but I chose not to build as it is new to my regimen and I have sensitive skin. So far no breakouts or irritation. This foundation evened out my skin tone nicely and created a dewy/glowy, but not greasy, finish which I personally like. What I love about this product (and Too Faced in general) is that it is cruelty-free as well as free of parabens, phthalates and sulfates. 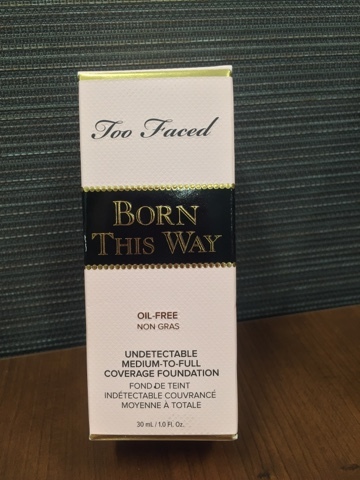 I will be replacing my existing foundation with Born This Way. 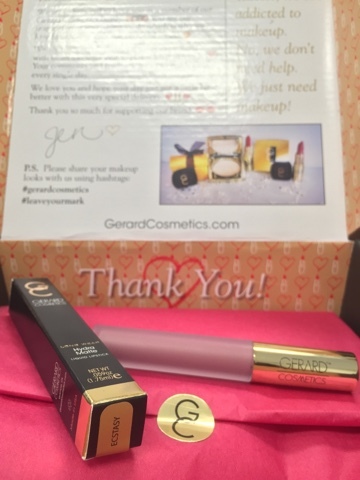 Okay so, I got so excited when Gerard dropped three new cruelty-free Hydramatte lipstick colors that I accidentally ordered Immortal instead of Ecstasy (doh!). So instead of sending Immortal back I kept it for someday when I'm feeling extra fancy and purchased Ecstasy, this time double and triple checking, and impatiently waited. Well it finally arrived and I'm wearing it for the first time today. It really is a gorgeous color- kind of a muted purple "mauvender" that I'm obsessed with. It is opaque but I think when I wear it again I will use a liner to make it pop. As far as the formula, I do find it to be a bit less drying than other liquid mattes but it's not moistening like a gloss which is totally fine. Lastly, the whole draw of liquid mattes for me is the staying power. I've been wearing it for five hours, had lunch and beverages and I haven't needed to reapply. I like it! Lastly, Jeffree Star cosmetics Velour Liquid Lipstick in Weirdo which I've only swatched but from the moment I opened the box I was in love! First off the pink packaging is beautiful. It doesn't look like anything else I own or have seen. But getting past all that, it's what's inside that counts, right? There no scent to this liquid matte (although I'm spoiled so I kind of wanted there to be). As I mentioned before, the line is vegan, paraben-free and cruelty-free. The color is a true pitch black that takes a moment or two to dry but only took one swipe for a nice color payoff. Think sharpie on skin. I'd probably apply two coats on the lips for the blackest black. I can't wait to try it. I'll be sure to share when I do but for now check out the swatch @pinkgreenchick.